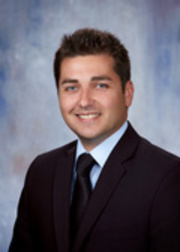 Justin Gomez, GRI, is an experienced full-time realtor and co-owner of Hike Real Estate, PC, who represents buyers, sellers, landlords, tenants, and others in real estate transactions in the Greater Omaha Metro Area and surrounding communities. Justin has a proven track record of customer service and marketing results with numerous awards to his credit. Justin serves a wide range of clientele and specializes in: military or VA, first-time, FHA, investment and relocating buyers and sellers, as well as sellers facing foreclosure/short-sale, property management, and counseling. Give Justin a call at 402-612-2429, e-mail him at Justin.Gomez@JGoHomes.com or visit his website at www.JGoHomes.com for assistance in all your real estate endeavors!